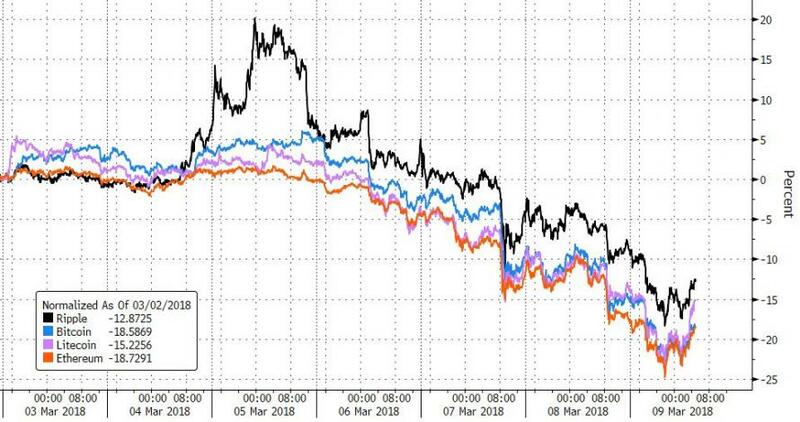 After a triple whammy of FUD this week (SEC crackdown, Mt.Gox overhang, and Japan shutdowns), cryptocurrencies are seeing broad-based selling pressure (majors down around 20-25%) with Bitcoin back under $9000. 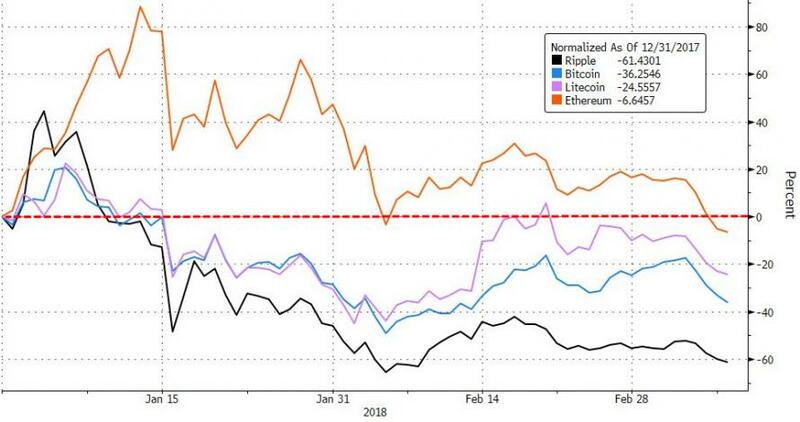 There are three big catalysts driving the fear and uncertainty derisking in crypto this week, as Bloomberg reports, Mt. Gox’s bankruptcy trustee, Nobuaki Kobayashi, disclosed on Wednesday in Tokyo that he sold about $400 million of Bitcoin and Bitcoin Cash since late September, part of the hoard left behind when the exchange collapsed four years ago. Kobayashi is studying further sales of the $1.8 billion remaining. Signs of growing regulatory scrutiny have added to investor jitters. On Thursday, Japan’s Financial Services Agency ordered two exchanges to halt operations for a month and penalized four others. 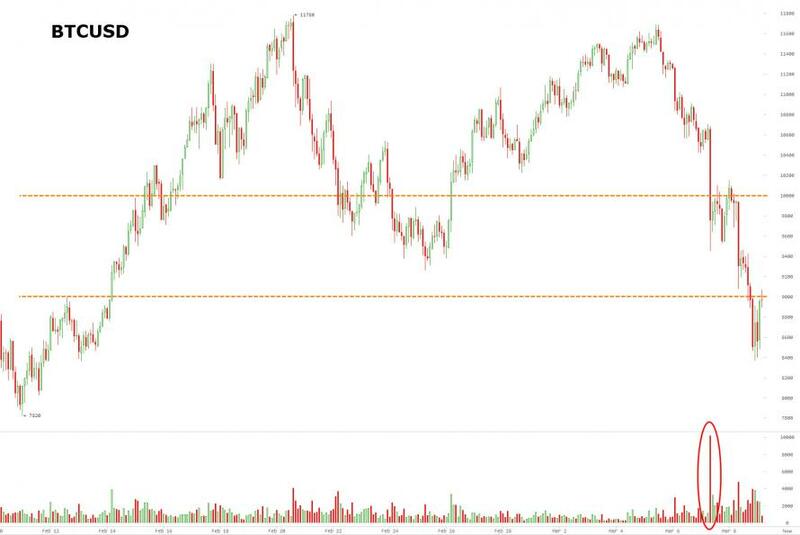 That announcement came just hours after a warning from the U.S. Securities and Exchange Commission that many online trading platforms should register with the agency.